What Steps Will You Take to Observe the International Year of Cooperatives? Over the past year, staff of the National Cooperative Business Association has traveled the country talking with members and staff from cooperatives of all types, across all sectors of the economy. The topic has been how to take advantage of the marketing opportunity that is the International Year of Cooperatives. I’m writing here to talk about what’s being planned and what is available to cooperatives—but also to discuss the importance of marketing in and of itself. NCBA has been working with a steering committee formed of national organizations that serve the cooperative community. This group includes the US Federation of Worker Cooperatives, the National Cooperative Grocers Association, the Credit Union National Association and the National Council of Farmer Cooperatives, among others. * This steering committee agreed upon a vision for the outcome of the observance of the International Year of Cooperatives: to raise the public awareness of cooperatives so that cooperatives became the first choice for doing business—not an alternative. Goal: educate and engage Americans regarding the value of joining and doing business with cooperatives. Goal: Make it easy for everyone to find all types of cooperatives. Goal: Improve legislative and policy conditions for cooperative business. Goal: Demonstrate the economic value of cooperative enterprise. 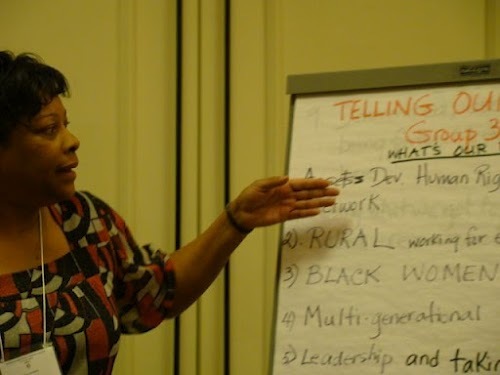 Goal: Cultivate the next generation of cooperative leaders. The value to cooperatives of this large-scale public awareness effort includes an increase in business. More people know about cooperatives, know the types of businesses they are and seek to do business with them. Sounds simple, but how does it happen? At the grassroots level—community by community. The International Year of Cooperatives offers us a number of things: it’s a chance to grow your business, it’s a chance to advocate for legislation that can support the development of new cooperatives, it’s a chance to get more people in the world involved in cooperatives so that they can improve their lives and their communities. But the effort will have its greatest impact at the local level—where decisions about how to live and work and act are made every day. 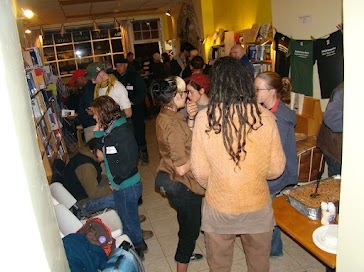 Pittsburgh’s International Year of the Cooperative event at the Big Idea Bookstore – November 2011 brought together cooperatives such as East End Cooperative, Ujamaa Collective, The Big Idea, and others that formed the IYC Pittsburgh Organizing Committee. The IYCPOC planned several events, including Co-op 101 classes to educate the Pittsburgh community about cooperatives as well as to market each of the cooperatives. Do not underestimate the importance of marketing or, if you dislike that word, promoting the value of cooperatives. We live in times when people realize the failure of the “values” on Wall Street and are, even as I write, taking to the streets in protest against it. But do they know that cooperative enterprise is based on the values of self-help, self-responsibility, democracy, equality, equity and solidarity? Do they know that cooperatives are values-based businesses that exist to serve the needs of their members? Likely not. Further, based on personal experience, they may not realize the breadth of businesses that embrace the cooperative business model. 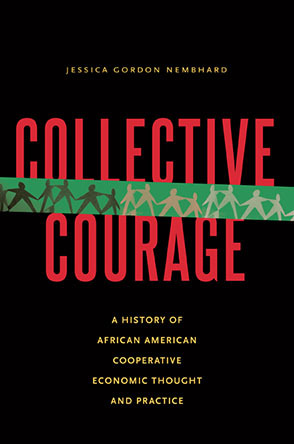 Consequently, they may not envision cooperative enterprise as a solution to the problems we face in America and around the world. We don’t talk about it often enough or loudly enough, and, because we are owned by our members, we are not part of the stock market that has so much of the attention of the American public and international media (like it or hate it). And so, because no one is speculating on our rise or fall every minute of the day on television, cooperative enterprise is not the focus of the American mind. I talk with a lot of cooperative communicators as part of my job. From them I learn both of the good works and of the humility pervasive in the cooperative community. This humility keeps cooperatives from trumpeting their successes. It’s not that cooperatives don’t recognize the good work they are do or don’t perceive its value. Rather, they believe that such action is what they are SUPPOSED to do as cooperatives (the seventh principle), and so they don’t believe it is something to promote. Paul Hazen, NCBA’s president and CEO, once said that for every problem there’s a cooperative solution. But to get people to see that, they must embrace cooperative enterprise as a serious, viable business model. Our challenge is to demonstrate that to our communities. Your next step depends on what your cooperative wants to accomplish. During a breakout session on planning for the International Year of Cooperatives at NCBA’s Annual Meeting and Cooperative Conference, groups of cooperators worked together to brainstorm on activities that they could produce. Ideas included creating videos that told their co-op’s story, creating a network of young professionals in cooperatives, having a meeting or social gathering of cooperatives from all sectors from a local area, creating or hosting a youth academy, holding a “co-op day” and others. The ideas ranged from local to national as well as from one-time to annual. The session ended with a room full of people continuing these conversations, thinking about how they were planning to make their local buzz. Many of the ideas incorporated the sixth principle and focus on building regional networks that can encourage collaboration well beyond a one-time event. NCBA has been advocating that co-ops form such networks in planning IYC observances in order to build that network, generate greater impact within the community and to conserve resources. Whatever your next step, I hope that you’ll keep NCBA informed! Send news of your event to info@ncba.coop. Please contact me at acumpston@ncba.coop or Eric DeLuca (NCBA Program Manager for IYC) at edeluca@ncba.coop if you have additional needs related to your local observance.